An infant was rushed to hospital on Wednesday (3 Oct 2018) after a fire involving an electronic bicycle broke out at the ground floor of a two-storey shophouse in Geylang. 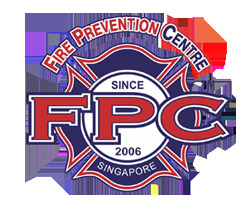 A spokesman for the Singapore Civil Defence Force (SCDF) said they responded to the fire at 527 Geylang Road at 7.20am. She said: "The fire involved a power-assisted bicycle and was extinguished by SCDF using one hose reel jet. "As a result of the fire, one infant was taken to KK Women's and Children's Hospital." The child suffered from smoke inhalation and had been on the upper floor of the shophouse when the incident happened. It was reported on the news that there were at least seven people living on the upper floor. According to the shop owner the fire was caused by an electric bicycle, in the shop. Shin Min reported that the store dealt in second-hand electronic equipment and it had yet to open for business as it was still under renovation. The electric bicycle is believed to have been in the store's pantry area when the fire broke out.